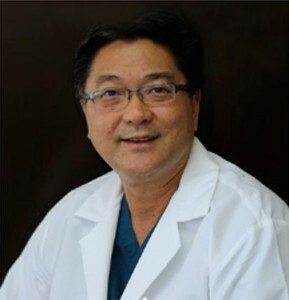 Dr. Wesley Kobayashi, a board certified medical and surgical specialist of the foot and ankle, has been in private practice at the Huntington Beach location since 1988. Born and raised in Madera, California, he graduated from UC Irvine with a Bachelor of Science degree in Biology, and then completed his podiatric medical education at the California College of Podiatric Medicine in San Francisco. Dr. Kobayashi completed his Post-Graduate Residency in podiatric surgery at the Veterans Administration Medical Center in West Roxbury, Massachusetts and at Harvard teaching institutions in Boston. He is board certified in foot surgery by the American Board of Podiatric Surgery. Dr. Kobayashi enjoys his work as a surgical attending physician, teaching resident podiatrists at Orange Coast Memorial Hospital and Fountain Valley Regional Hospital. He is a Fellow of the American College of Foot and Ankle Surgeons, and a long time member of the podiatric professional organizations: APMA, CPMA, OCPMA. In his free time, Dr. Kobayashi enjoys running with his wife of 29 years, Nancy. They are the proud parents of three wonderful children – Ryan, Katie and Jamie, and one Golden Retriever, Kiki. 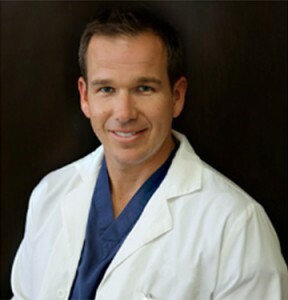 Dr. Travis is an active member of the American College of Foot and Ankle Surgeons, APMA, CPMA, and Orange County Podiatric Medical Associations. He is on the teaching staff at Fountain Valley Regional Hospital, Los Alamitos Medical Center, HOAG, and Orange Coast Memorial Hospital. He is involved with numerous publications and research projects and is available for lecturing per request. He privately practices in Huntington Beach and Laguna Woods in Orange County, California. Dr. Travis is married to his wife Cara. They are proud parents of twin daughters, Emma and Megan, and a son, Luke. They live in south Orange County and enjoy outdoor activities and traveling.